The first carriages from the new £100m fleet of Caledonian Sleeper trains have arrived in the UK ahead of their introduction to service later this year. Starting in October 2018, the overnight rail service will begin to be transformed as 75 new carriages are introduced in a phased transition. A total of five carriages have this morning arrived in the outskirts of Glasgow, where they will start extensive testing over the coming months. These initial five carriages are still to be fitted out internally following testing. Fully fitted out carriages will arrive in the UK at a later date. The carriages have travelled through the Channel Tunnel to Scotland from the Velim Test Centre in the Czech Republic where they have been undergoing mandatory trials. The introduction of new trains will be the culmination of a wide range of improvements and investment in Caledonian Sleeper since Serco took over the franchise on behalf of the Scottish Government in April 2015. These have had a dramatic impact on the service and after years of decline in patronage, the number of customer journeys has increased by 21%. With the countdown on to the introduction of the new trains – which will initially debut on the ‘Lowlander’ route between London and Glasgow/Edinburgh – Caledonian Sleeper has announced that tickets will be made available from next month on Sleeper.scot. The new trains are currently being constructed by CAF in Spain, at a cost of over £100m, part funded by a capital grant from Scottish Ministers of £60m. They will be the first sleeper trains to be introduced to the UK for over 35 years. As agreed with Transport Scotland and following consultation with guests and other stakeholders, anyone who books a room on the new trains will be guaranteed solo occupancy unless they choose to share with a partner. Tickets for the new Caledonian Sleeper are extremely competitively priced, with Comfort Seats starting from £45; Classic Rooms starting from £85 per person; Club Rooms from £125 per person; and Suites from £200 per person. Pricing and accommodation options for the current trains will remain in place until new trains are introduced in October, with transitional pricing then coming into effect on the ‘Highlander’ route. 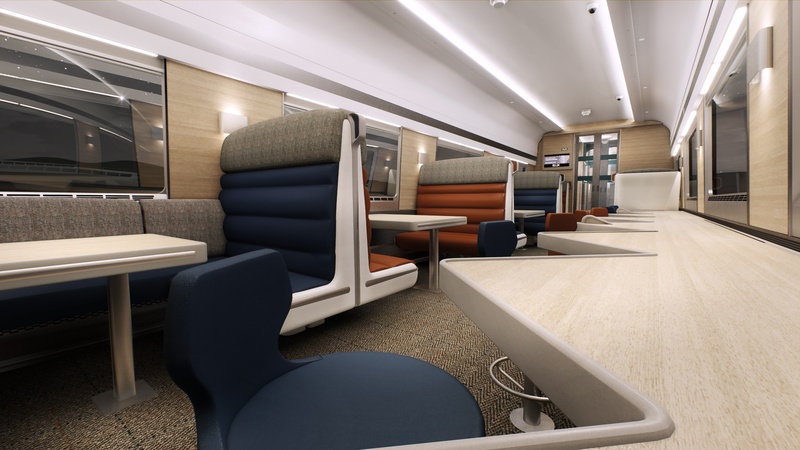 Peter Strachan, Chairman, Serco Caledonian Sleeper, said: “We believe the new Caledonian Sleeper trains will truly set a new standard in overnight travel and we have worked closely with Transport Scotland on their development since taking over the franchise in 2015. Highlights include a new Guest Service Centre in Inverness as well as new uniforms, toilets and food and beverage offer, the vast majority of which is from Scottish suppliers. Caledonian Sleeper’s commitment to quality Scottish produce and ingredients has earned the company VisitScotland’s Taste our Best award. Ticketing has also been improved, with new tickets for families travelling together, the introduction of electronic ticketing and enhanced online functionality for regular guests.